The cause of malfunctions in wastewater treatment plants (WWTPs) or industrial wastewater treatment plants (IWWTs) is often difficult to discover. An example of such a malfunction is the loss in nitrification capacity, the degree to which nitrogen compounds are degraded in the wastewater. The presence of certain substances in the water can lead to a reduction in the plant’s nitrification capacity. The analysis of these substances often focuses on ‘target substances’, that is, known contaminants. But the water might contain other compounds that we don’t (yet) know about. For this reason, KWR developed a ‘non-target’ screening technique, with which we can detect unknown contaminants that cause the malfunction of a wastewater treatment process. The non-target screening makes use of high-resolution mass spectrometry to demonstrate the presence of a wide range of known and unknown substances at the same time. 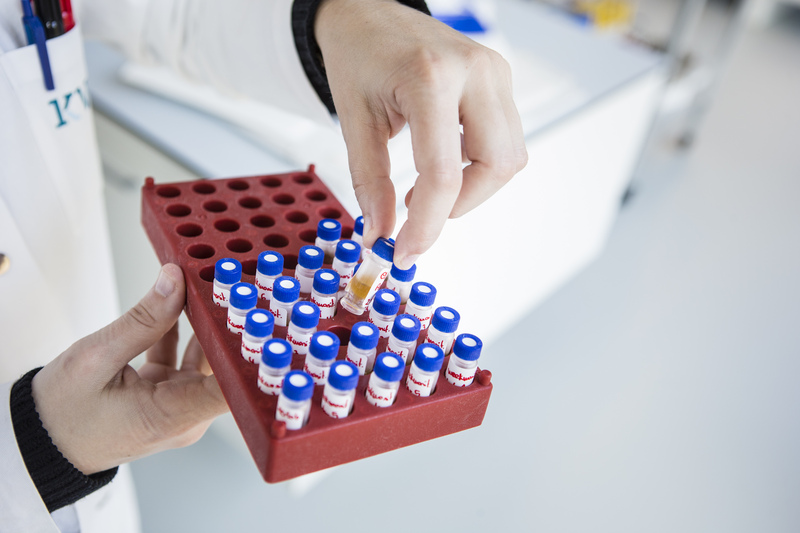 By using non-target screening to analyse a number of samples taken in the context of an emergency, we can identify the compounds in the samples. Using data analysis, we can then establish which chemical compounds, or group of compounds, are disproportionately present in the emergency sample. On the basis of the data produced by the mass spectrometer, we can then discover which substance is the possible cause of the disruption. In this manner KWR has assisted – specifically, in April 2016 and January 2017 – in discovering the cause of the malfunction of a wastewater treatment plant. Thus in January, the authorities, working with the police, were able to close down an amphetamine production site. Het bericht KWR researchers discover cause of wastewater treatment malfunction verscheen eerst op KWR.